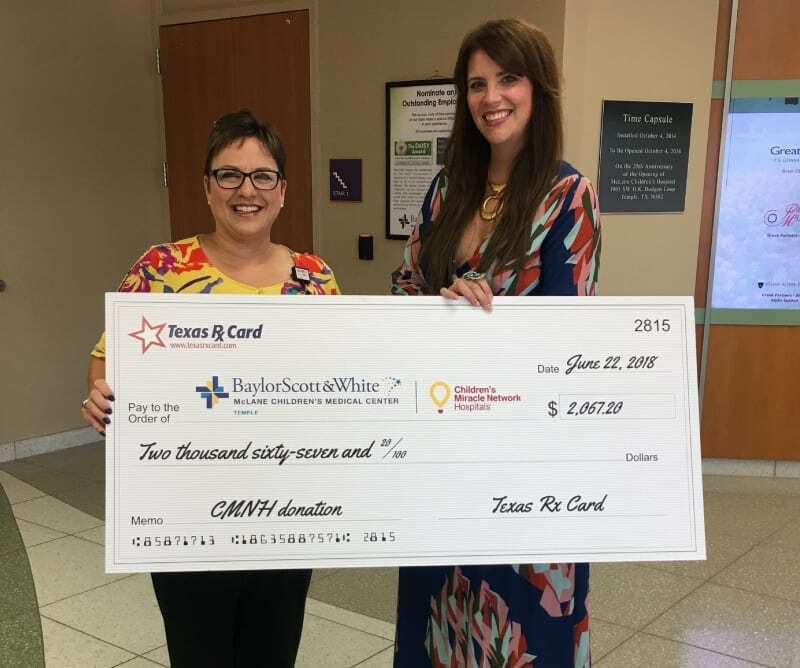 On June 22nd, Courtney Knox, Texas Rx Card Representative, presented a check to Baylor Scott & White McLane Children’s Medical Center. Jennifer Williams, Senior Foundation Officer, was pleased to receive the check donation in the amount of $2,067.20. Following the presentation, Courtney was given a tour of the hospital. Courtney and Jennifer discussed ways to continue working together to raise awareness for the Texas Rx Card and CMN Hospitals relationship and increase donations to McLane Children’s Medical Center. A donation will be made to your local CMN Hospital each time a prescription is processed using the Texas Rx Card. Since 2015, the United Networks of America partnership with Children’s Miracle Network Hospitals has raised over $2.4 million dollars for local children’s hospitals. Of this, $2,067.20 has been raised for McLane Children’s Medical Center. Next post: Stars meet our stars at Comic-Con!